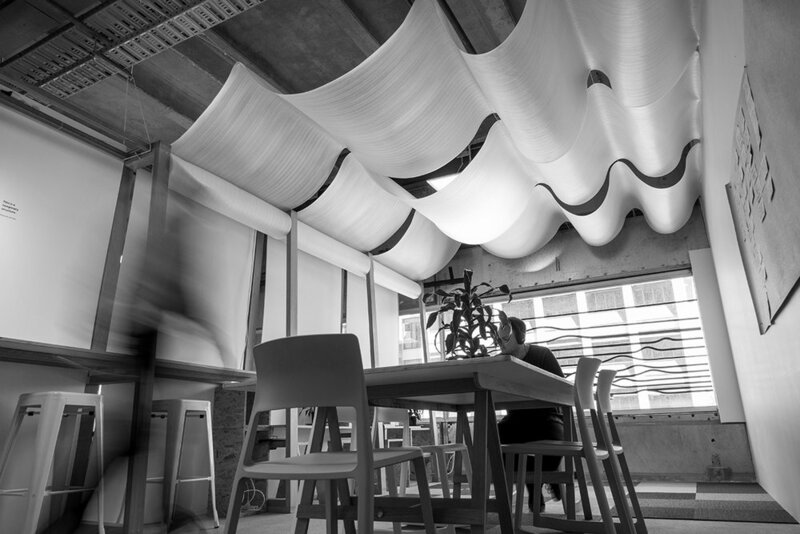 The DHW Lab is an environment for collaboration, prototyping and experimentation. 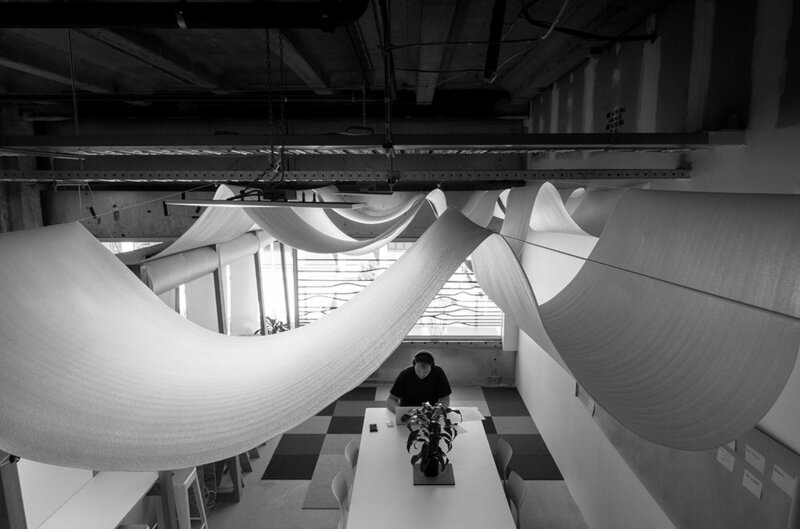 The nature of our studio space reflects this, through its use of lightweight, mobile furniture and infrastructure. As the scale of projects undertaken by the lab expands, alongside our growing team, we've adapted the studio to create a unique, private workspace that allows for focused collaboration and 'war room' style workshops. Situated towards the rear of the lab, Backspace is a light-filled mini studio constructed entirely of existing structures and materials. White coreflute panels sit within tall timber frames, combined with a lowered wave-like fabric ceiling to create a soft, elegant space that encourages fresh thinking and a greater sense of focus. Backspace is an example of prototyping within work environments to create low cost but highly effective spaces for collaboration and creativity.